Crossing the streets of Prague. 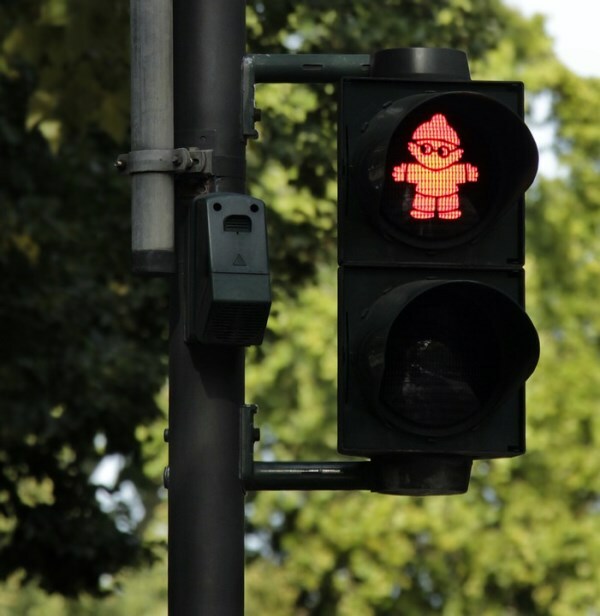 In Berlin traffic lights are really funny! 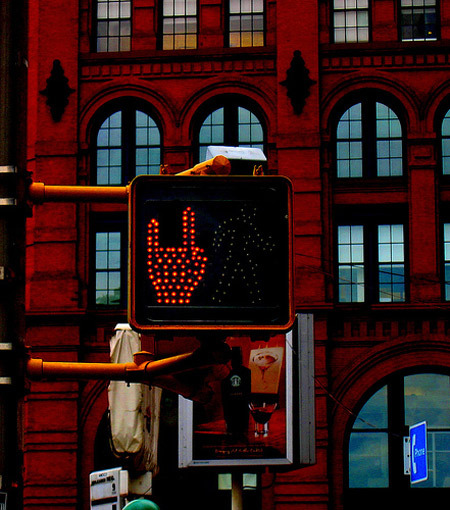 Someone put black tape over the "Don't Walk" fingers, turning the signal into flashing "rock on" hand sign. Corner of Lafayette + Houston, NYC. 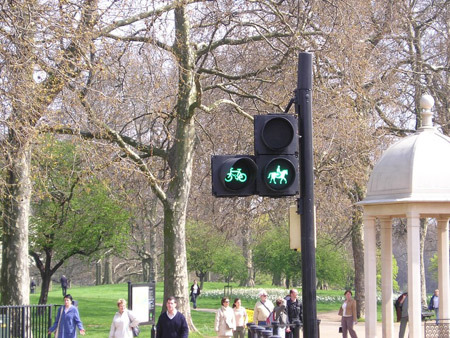 A traffic light designed for horses, in the streets of London, England. 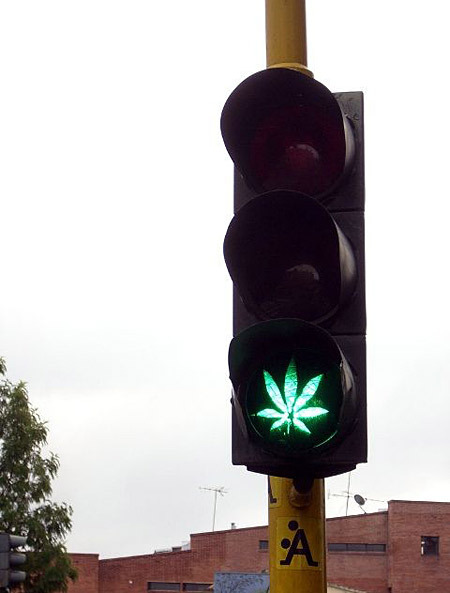 Traffic light in Fredericia, Denmark. 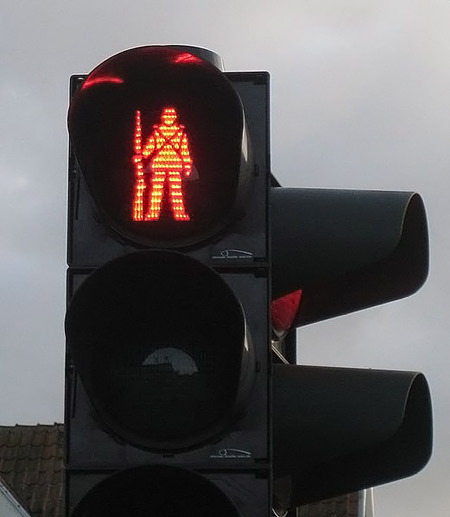 SpY is an artist from Madrid whose work involves the appropriation of urban elements, here is one of his works. 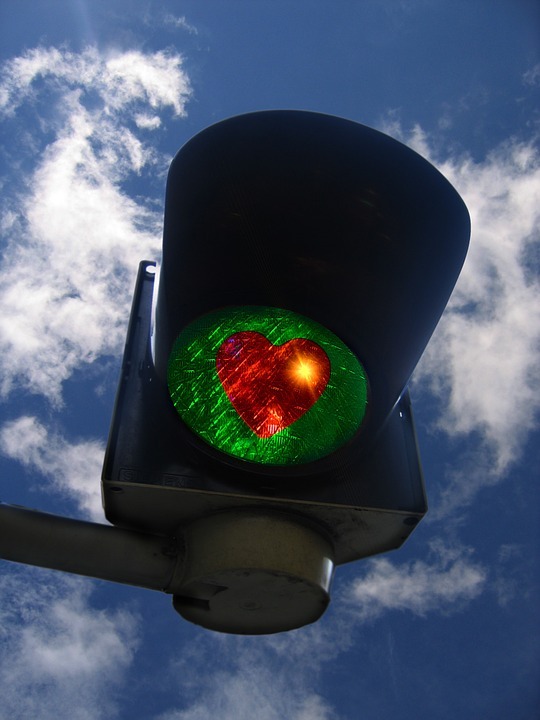 Valentine's Day Traffic Light in Bruxelles 2006. 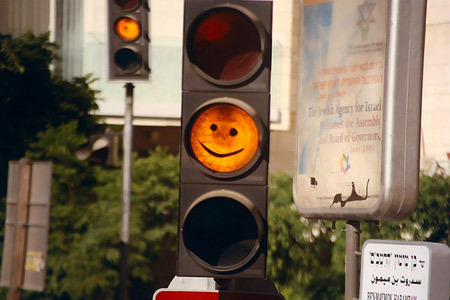 In Jerusalem there are pranksters who enjoy adding smiley faces to the traffic lights. 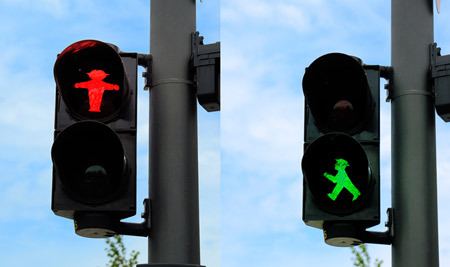 Iconographic traffic light for those people who don't know what the colors mean. 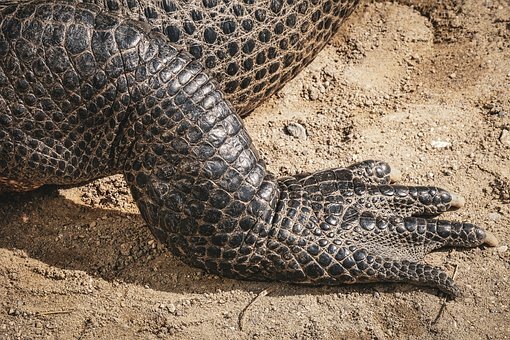 This is very funny! 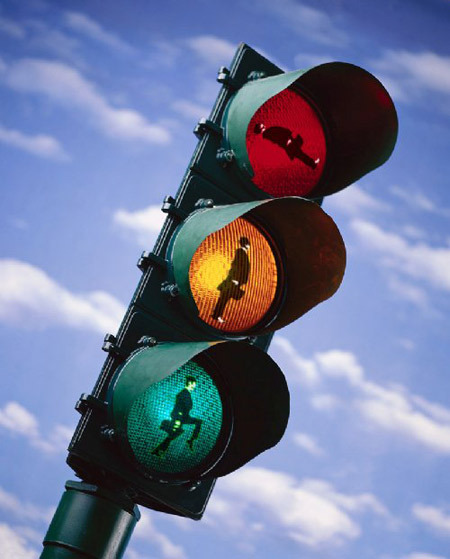 You definitely wouldn't know what to do at this traffic light while driving! 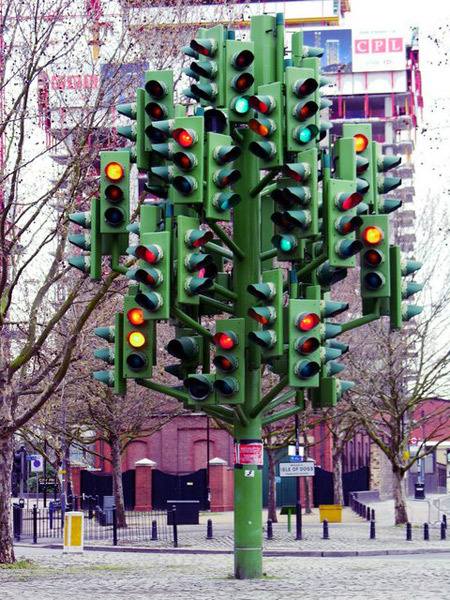 Designed by Pierre Vivant and located in London, UK, “Traffic Light Tree” has 75 sets of traffic lights. 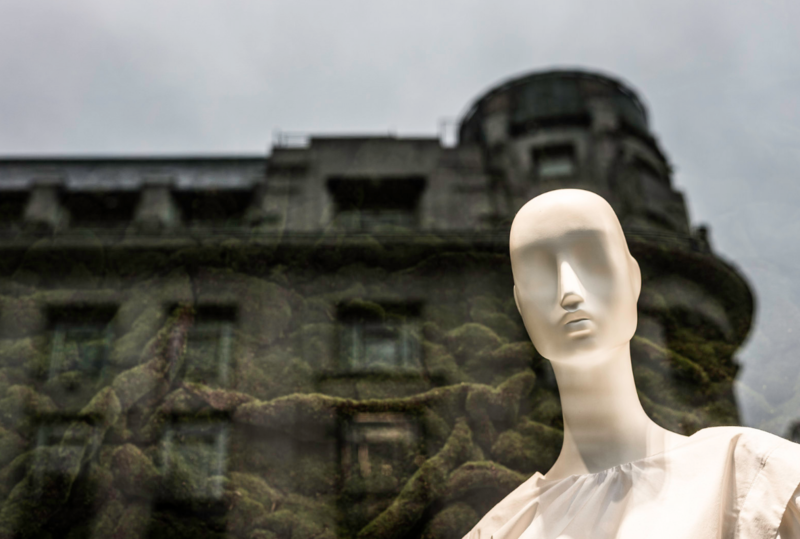 The sculpture was created to mimic a tree structure and reflect the energy of the developing Canary Wharf area.